Ryan’s day to day activities largely involve meeting with clients and building relationships with entrepreneurs, financial executives, and human resource professionals as well as individuals and families. With clients, he is the strategic voice in the room – always listening first to fully understand his clients’ needs so that he can more accurately advise on the next steps. As a technician, Ryan has expertise in traditional employee benefits programs – Health & Welfare, Retirement Plans, Voluntary Benefits and Supplemental Benefits Programs. He also has a strong background in developing a personal strategy that incorporates individual insurance policies such as Life, Disability Income, Long Term Care Insurances. Ryan ties his knowledge of employee benefits and individual insurances together regularly with Cross Coastal’s Financial Planning clients, analyzing the benefits programs made available to them at work and helping to ensure that they’re utilizing them efficiently with their personal financial planning goals in mind. 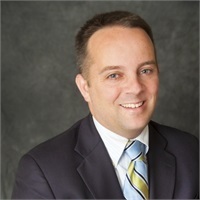 Ryan is the immediate Past President and Chairman of the Boston Irish Business Association (BIBA) and remains on the organizations Board of Directos. In his work with BIBA, he’s had the opportunity to travel as a delegate to Ireland on trade missions with the goal of building and strengthening trade relationships and diplomacy between Massachusetts, Ireland and Northern Ireland. In 2012, he was honored by the Irish Echo News Paper – the largest and most widely-read Irish-American weekly in the US – with a 40 Under 40 Award. Ryan has served on the Board of Directors of the National Association of Insurance and Financial Advisors (NAIFA) regularly participating in State and National advocacy work on behalf of Families and Small Businesses in Massachusetts. He also participates in a number of local, regional and international initiatives related to Entrepreneurship, Economic Development, Arts and Culture. Ryan resides in Dedham, MA with his wife Kara and their three children.